Scott Jurek is one of the world's best known and most beloved ultrarunners. Renowned for his remarkable endurance and speed, achieved on a vegan diet, he's finished first in nearly all of ultrarunning's elite events over the course of his career. But after two decades of racing, training, speaking, and touring, Jurek felt an urgent need to discover something new about himself. So he set out on a wholly unique challenge, one that would force him to grow as a person and as an athlete: breaking the speed record for the Appalachian Trail. North is the story of the 2189-mile journey that nearly shattered him. 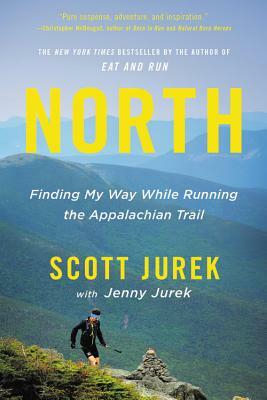 With his wife, Jenny, and a team of friends supporting him, Jurek ran, hiked, and stumbled his way north, one white blaze at a time. A stunning narrative of perseverance and personal transformation, North is a portrait of a man stripped bare on the most demanding and transcendent effort of his life. It will inspire runners and non-runners alike to keep striving for their personal best.